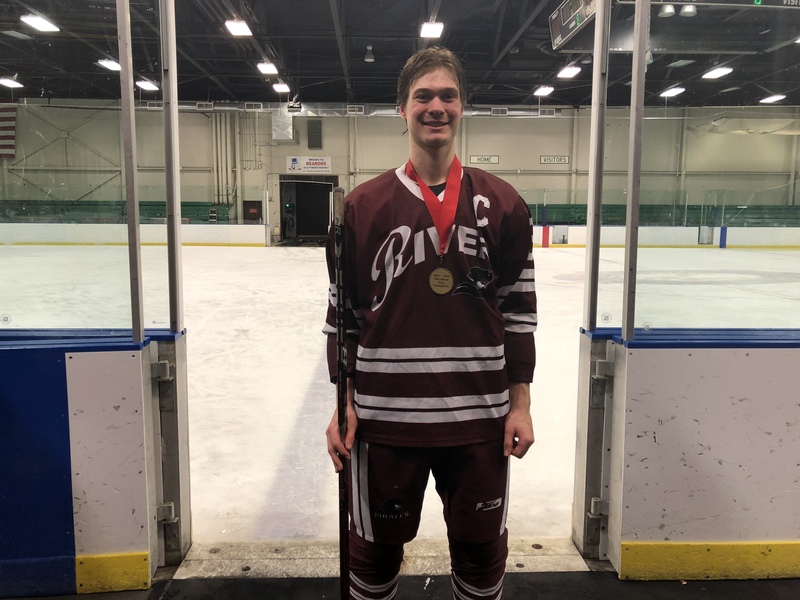 After a strong week that saw he and the Rocky River Pirates claim the Baron Cup I Championship, senior Ted Stueber is named the NEOSI Player Of The Week. 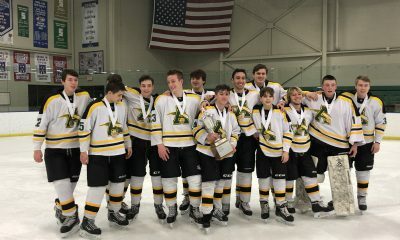 Stueber had a remarkable performance throughout this year’s Baron Cup run for the Pirates, including a hat-trick against Midview in an 8-2 first-round victory against the Middies. 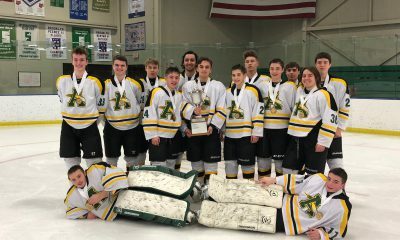 Stueber then potted goals against Strongsville and Shaker Heights to finish with five goals in the tournament and a Baron Cup I Championship to show for it. 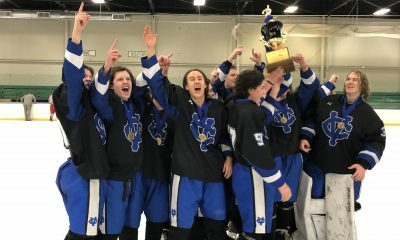 The championship victory gives Stueber two Baron Cup I Championships in his career, the first coming in 2015 when he was a freshman at Rocky River. Now, he’s one of the biggest parts of the Pirates team. 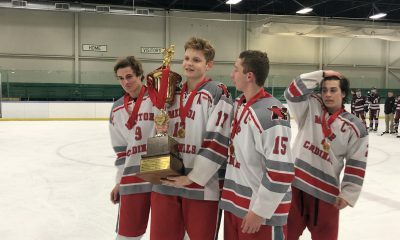 Stueber talked with reporters after Sunday’s victory about how it felt to win a Baron Cup championship to start and end his high school hockey career. As Rocky River prepares for their Brooklyn District run, NEOSI congratulates Ted Stueber on NEOSI Athlete Of The Week.